When we turn to God for help or guidance, we need to know what to say and how to say it. 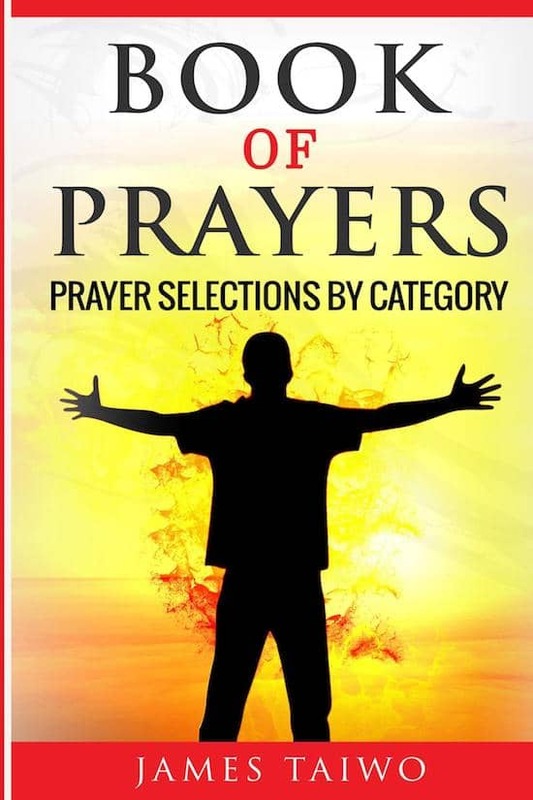 In this Book of Prayers, by James Taiwo, you will find a prayer solution to your problem. There are times in life when a person needs some help. It may be for a minor issue we feel a friend or a family member can handle, or a major problem requiring the help of a higher power. Whatever the type of life challenges, God is able to address them all. There are more than 200 different form of prayers provided, including prayers for such things as miracle, love, protection, repentance, and guidance. Each category comes with helpful introduction and Bible references explaining their backgrounds, and how they can be used in today’s context. Your mind will be opened to receive God’s intervention and have great victory through this Book of Prayers! It will get your spirit lifted up, and expose you to enjoy praying habit and find solutions to many life’s problems. You will be guided through the time of trouble and obtain great victory.